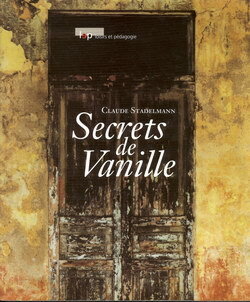 This book covers the history of vanilla, both nautral and synthetic, and discusses the process of vanilla production. Also included are 19 recipes that make use of natural vanilla pods. 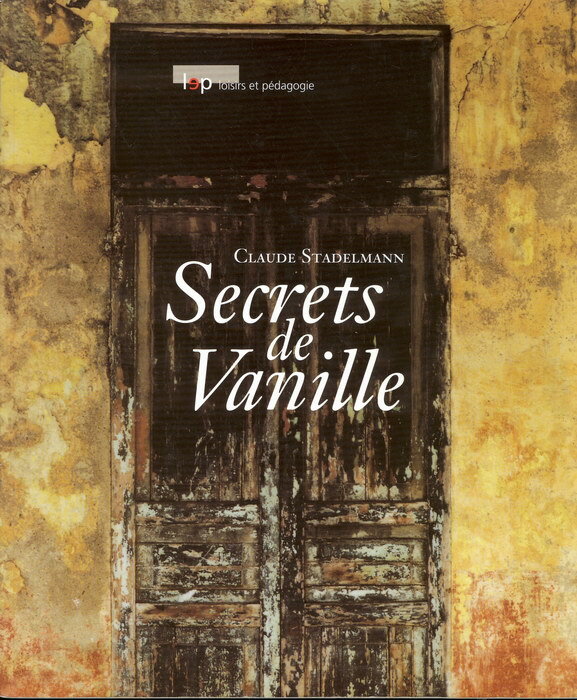 Dans ce livre qui fleure bon la vanille et les senteurs exotiques, vous allez découvrir les secrets de l'orchidée et de son fruit. Justine et son Gobe-Mouche vous accompagneront tout au long de ce parcours initiatique au cœur de Madagascar. Avec eux vous irez voir le père Rakoto qui vous racontera comment dans son pays on cultive la vanille. Une histoire dans l'histoire pour mieux comprendre l'âme profonde de l'homme et de sa terre. Enfin, les yeux encore pleins des couleurs du voyage, vous pourrez, en suivant les recettes proposées, goûter aux saveurs délicates de la précieuse vanille. 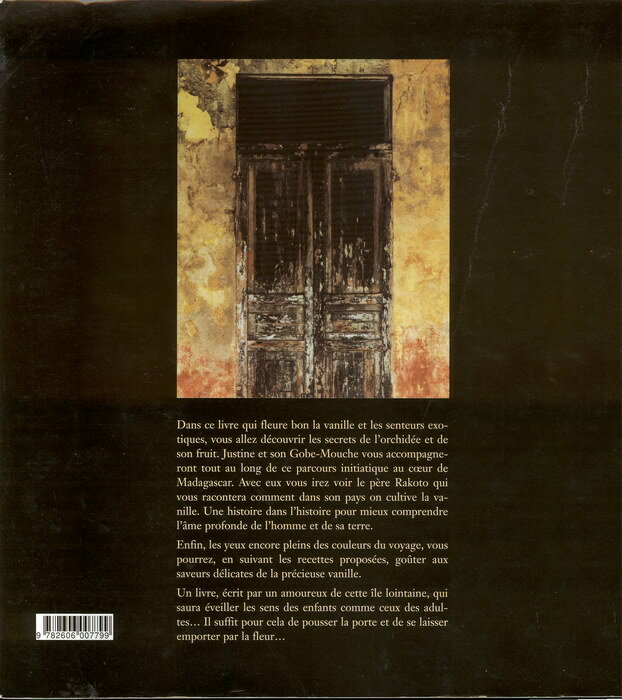 In this book, filled with the wonderful scent of vanilla and other exotic perfumes, you will discover the secrets of this orchid and its fruit. Justine and her Flycatcher will accompany you on this introductory journey to the heart of Madagascar. With them you will see Rakoto, the father, who will tell you how vanilla is cultivated in his country. A history within history to better understand man's deep soul and his land. Finally, with your eyes filled with the colours of the voyage, you will be able to taste the delicate flavours of precious vanilla by following the suggested recipes.